This article has originally been published by EDRI-Gram on 12.09.2018. Photo by Yemc, Public Domain via Wikipedia. 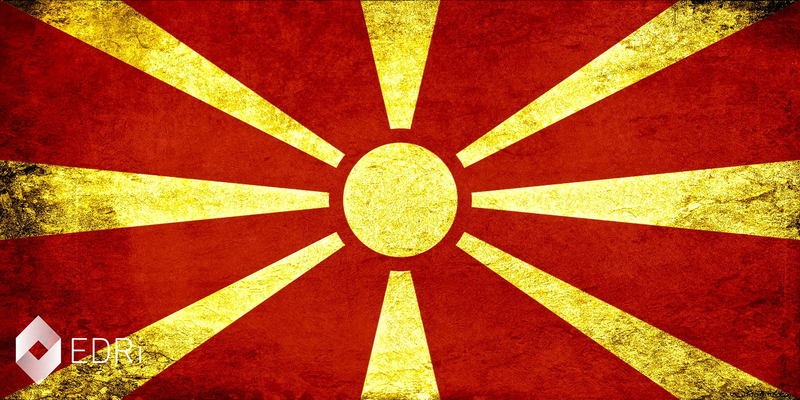 The political tension in the Republic of Macedonia has increased in recent months ahead of the referendum, scheduled for 30 September 2018, which will enable the voters to express their opinion on the agreement signed with Greece in June in order to solve the long-standing name dispute. Fulfilment of the agreement includes change of the name of the country to Republic of North Macedonia, which is precondition for lifting the Greek veto that had been preventing Macedonia from joining NATO and the EU. Joining these alliances had been a long-term strategic goal of the country, in particular as a safeguard against internal and regional security threats. Civil society organisations dealing with media had warned that changes to the electoral code made in July 2018, ahead of the crucial September referendum on NATO and EU accession, would re-introduce government-funded advertising in the media, which was abolished as one of the first steps of the overall long-term reform process. 3. Addressing the main obstacles which journalists face in obtaining access to public information. The pace of these reforms, which started in June 2017, when the new, pro-EU and pro-NATO government came into power, has been uneven and incomplete. According to the most recent periodical report by the Observatory of Media Reforms (OMR), a monitoring project by EDRi member Metamorphosis and partner civil society organisations PINA and Agora, most of the reforms had been only “partially fulfilled,” and some, like defamation legislation, has not been tackled at all. The reform of the PBS is related to a wider reform of several so-called ‘media laws’ (Law on media, Law on audio and audiovisual media services, etc.) which also affect the composition and the mandate of governing bodies of the PBS and of regulatory institutions, in particular the Agency for Audio and Audiovisual Media Services. While the government has started the process of changing these laws, by the summer of 2018 it has come to a standstill due to complex set of influences.The government mainly has been pointing to filibustering by the parliamentary opposition as key obstacle, blaming the former ruling party for attempting to keep in office the members of governing bodies appointed by them. However, civil society has stressed the need to build public consensus on the final form of these laws in order to prevent setting legal loopholes which would enable the executive to exert undue power. Meanwhile, the situation in the PBS Macedonian Radio and Television has been deteriorating, as it has been failing in its basic task to strengthen the cohesion of the society by providing unbiased information catering to the needs of all citizens, including various ethnic communities. Research by the OMR revealed severe lack of capacities, both financial and technical, including human resources. Fearing that new legislation can “legitimize political propaganda in the media paid for by taxpayers’ money” several civil society organizations—the Association of Journalists of Macedonia (AJM), the Independent Union of Journalists and Media Workers (SSNM), the Council on Media Ethics in Macedonia (CMEM), Macedonian Institute for Media (MIM) and the Institute of Communication Studies (IKS)—condemned the interpretation of the new legislation by the SEC.